An Ethiopian military helicopter crashed on Saturday carrying Ethiopian troops. The helicopter crashed as it was flying from Kadugli to Abeyi, and crashed within the premises of Head of United Nations Interim Security Force for Abyei (UNISFA). The MI-8 helicopter was on routine operation carrying Ethiopian troops on rotation from Kadugli to Abyei when it crashed leaving four dead and 10 critically injured. Out of the 23 passengers, three died on the spot and those critically injured were sent to Addis Ababa. General Gebre Adhana Woldezgu, head of UNISFA, reportedly said that cause of the accident is under investigation. 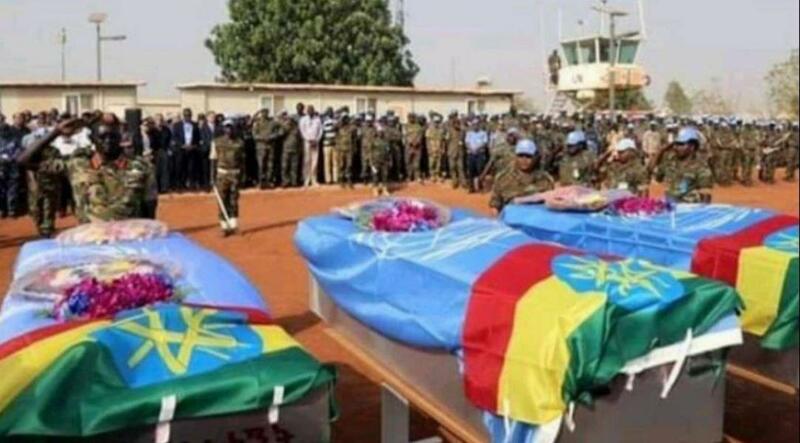 Bodies of the Ethiopian troops have arrived in Addis Ababa today. Ethiopia has around 4,500 personnel on the ground to support UNISFA’s efforts of ensuring peace and security in Abyei.